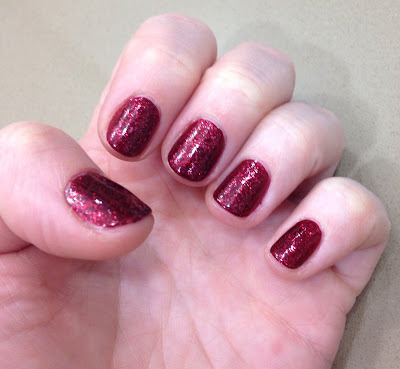 The Beauty of Life: Mani Monday: My 2013 In Nails! 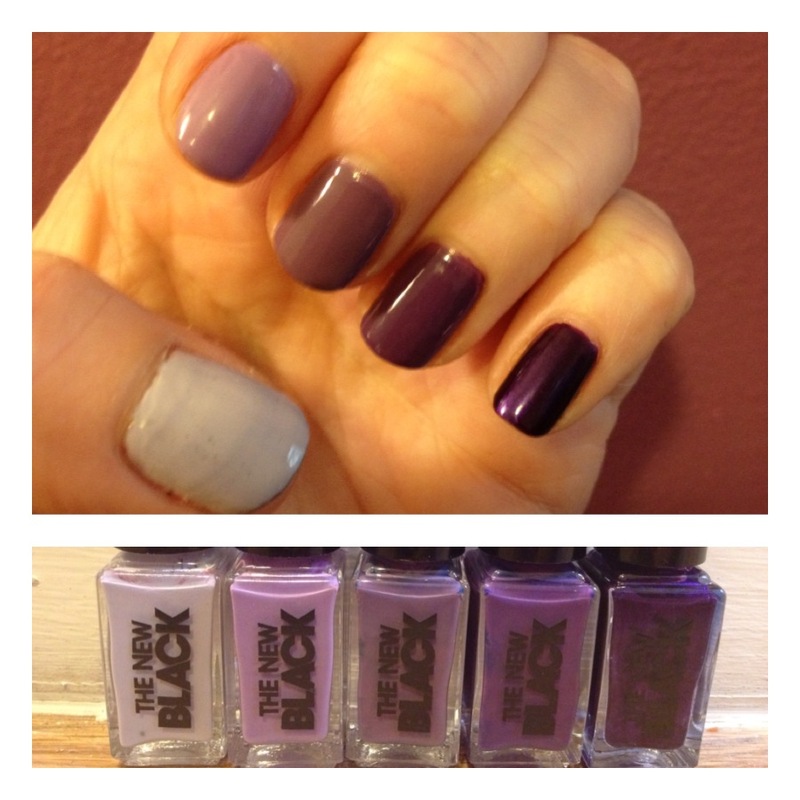 Mani Monday: My 2013 In Nails! 2013 is coming to a close, and I think it's only fitting to do a wrapup post of sorts. And what's more apropos than a wrapup of all the nail polishes I tried, tested and loved this past year? Below, the colors and brands I absolutely loved during 2013. Some I featured on the blog, others were only seen on Instagram (be sure to follow me there if you aren't already for exclusive content!). Be sure to let me know your favorite nail polishes of the past year in the comments! 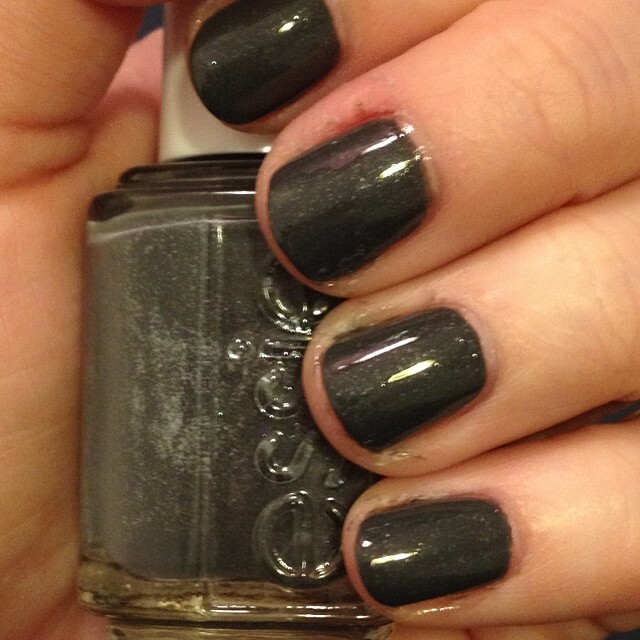 American Apparel Smoke Dazzle: I loved the multichrome finish of this polish. 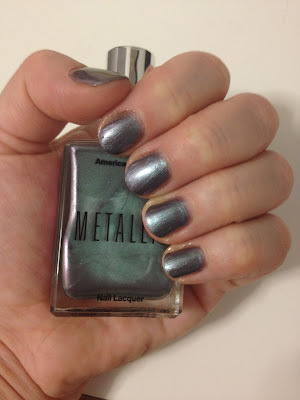 From purple to grey to green to pink, this metallic polish was a sure stunner. 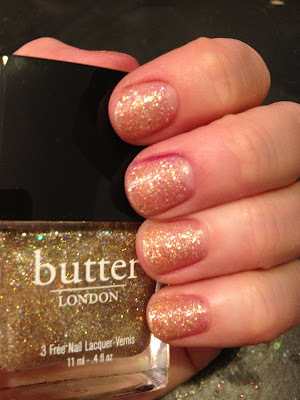 butter LONDON Tart With A Heart: I'm a huge butter LONDON fan and swatched multiple polishes in this post, but this glittery gold goodness definitely stole MY heart. 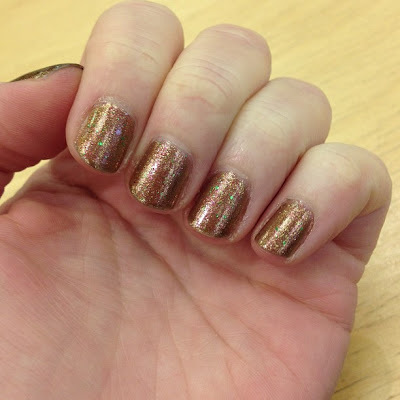 Zoya Blaze: The Ornate Collection from Winter 2012 was one of my all-time favorites. Every color in the collection was rich and gorgeous regardless, but definitely made more so with holographic glitter. Urban Decay Naked Nail Set: Six shades in this collection, each one more beautiful than the next. I had a pretty hard time picking a favorite! 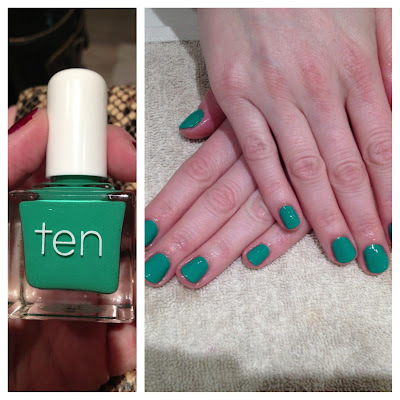 Tenoverten Rivington: Green nail polish always gets my heart racing, and this one is no different. The slightly rubbery texture adds a fun element to an already different hue. 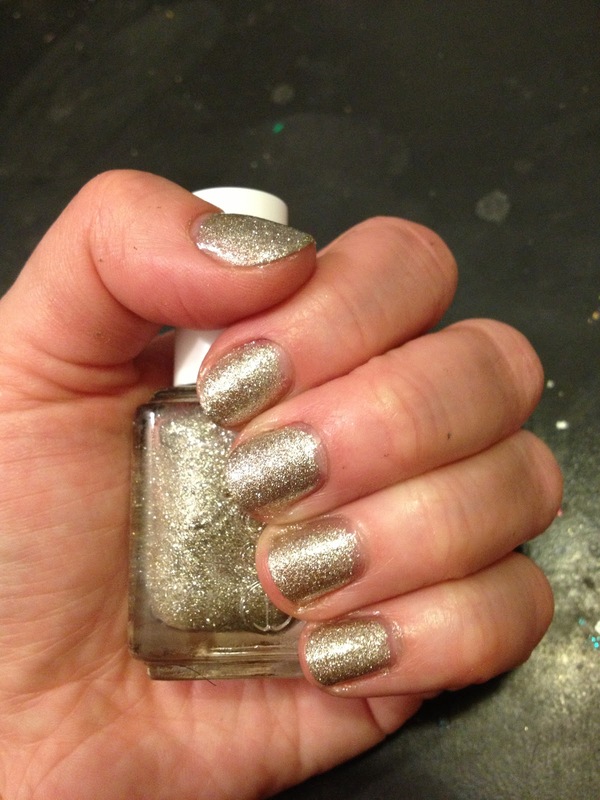 Zoya Storm: Another color from the Ornate Collection -- I told you I loved it! 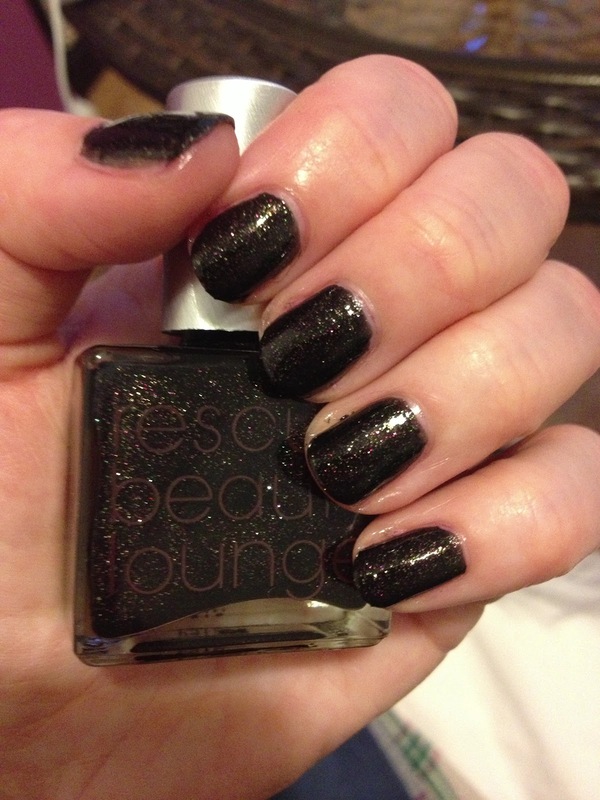 Seriously, how stunning is this holographic black? 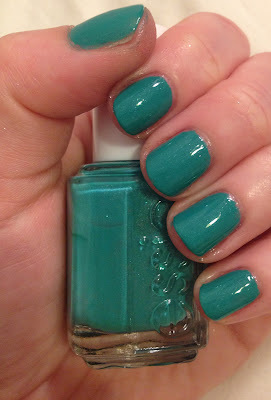 Essie Beyond Cozy: This color has made it into my top 10 favorites for sure. I've worn it multiple times, in multiple ways, and you know what? Every single time, I just want to wear this gold/silver sparkling hybrid again. 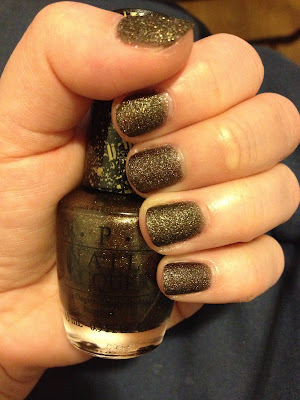 OPI Liquid Sand Nail Polish in Stay The Night: Oh, this polish. I LOVE IT SO MUCH. This collection was a gift from my best friend, and for that I will be forever grateful -- especially for this shade, which is formulated with black and burgundy to really knock your socks off. NCLA Rock Solid: NCLA is a brand that I just discovered recently, and I'm so glad I did. I love the smoky quality of this deep glittery charcoal. Chanel Accessoire: Oh, Chanel. Be still my heart. 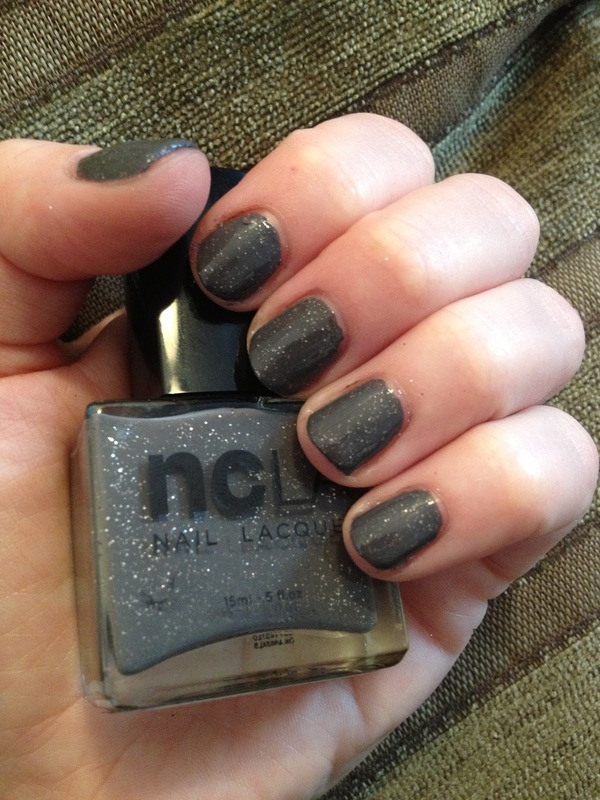 The Spring Couture Collection was gorgeous, of course, but this is the shade that really made me swoon. Oxblood, of course. 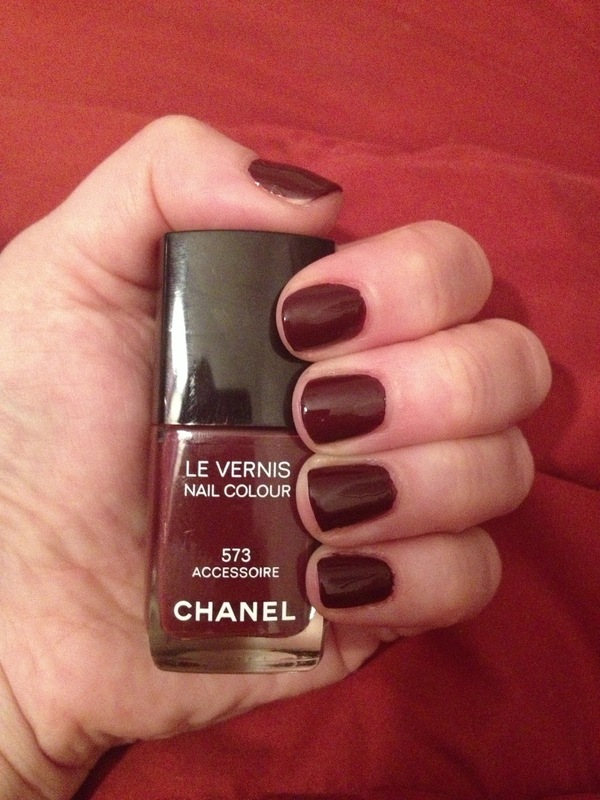 Chanel Paradoxal: This is one of those polishes I really want to love, but for some reason I just don't. I think it's because even though the shade is pretty, it's not what it looks like it will be coming out of the bottle (a paradox of sorts). I just can't bring myself to like it a lot when it's not what's advertised! 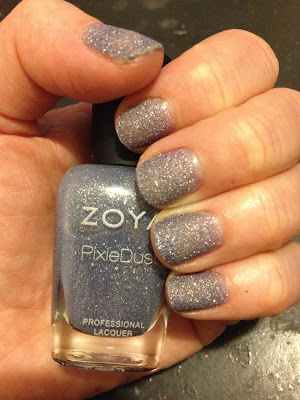 Zoya PixieDust Nail Polish in Nyx: It seemed like every brand experimented with textured polish this year, and Zoya definitely did it best in breed. 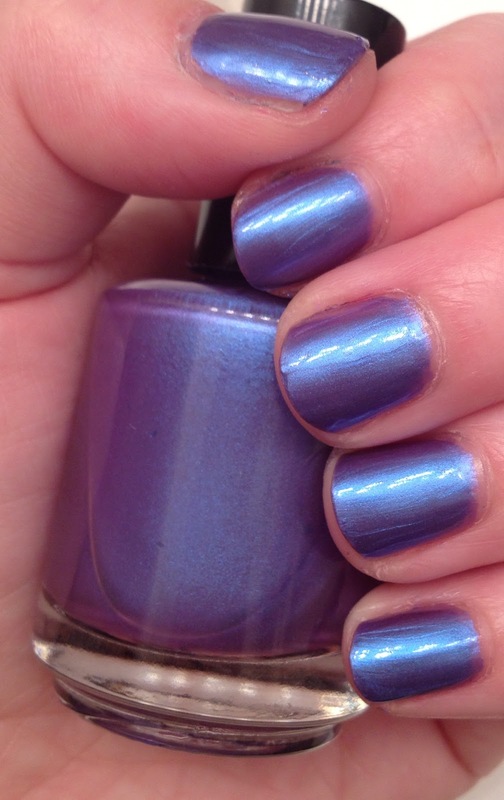 Nyx is so beautiful -- it's like crushed periwinkle blue sugar. The New Black Ombre 5-Piece Nail Polish Set in Haze: Is there anything better than purple nail polish -- especially when it comes in an ombre set? I really don't think so. I picked up this little gem at Sephora and fell in love instantly. St. Patrick's Day Nail Art: I know I'm a Jew, but I love painting my nails for different holidays. 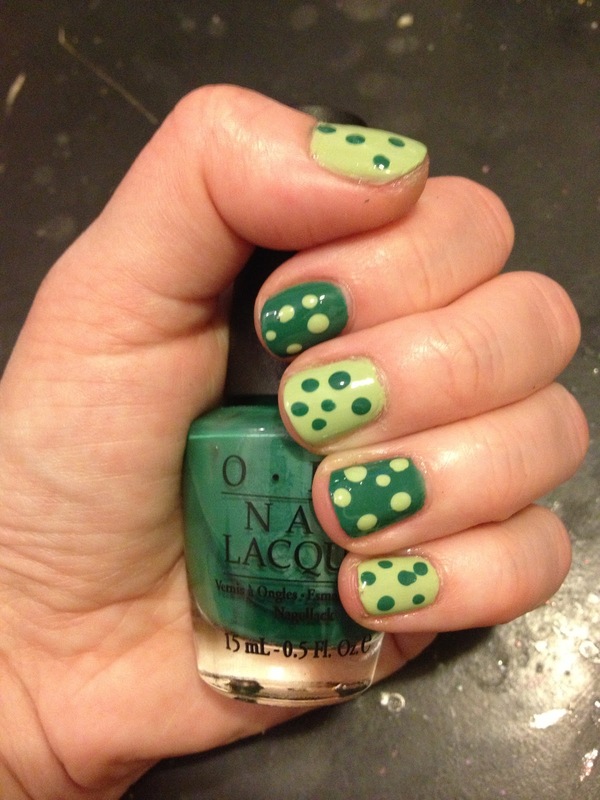 I just couldn't resist some polka dotted nail art with OPI Jade Is The New Black and Essie Navigate Her when St. Patrick's Day rolled around! China Glaze For Audrey and Essie Where's My Chauffeur? 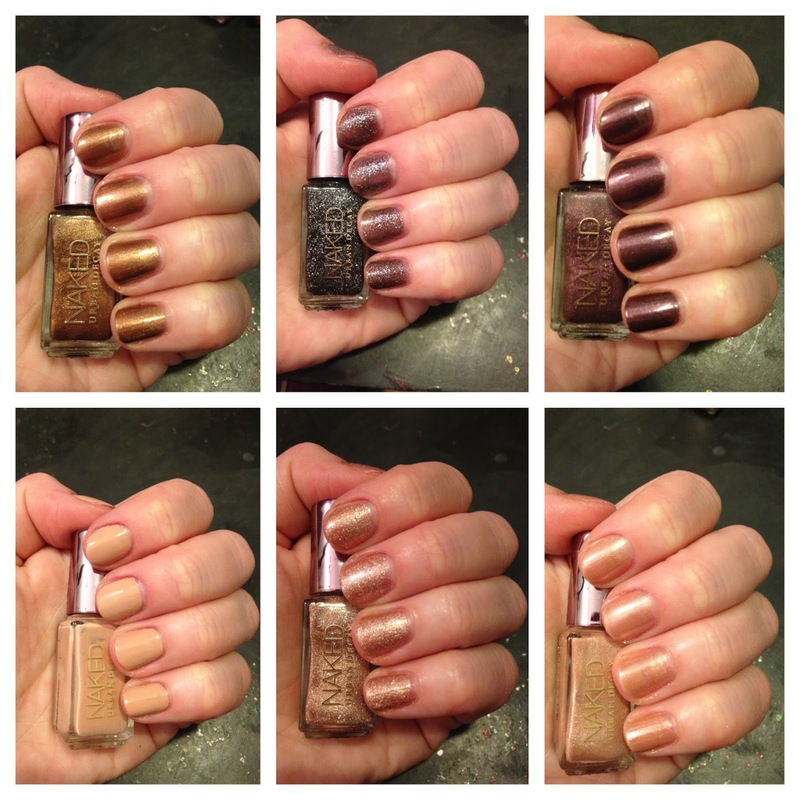 : Want some true dupes? 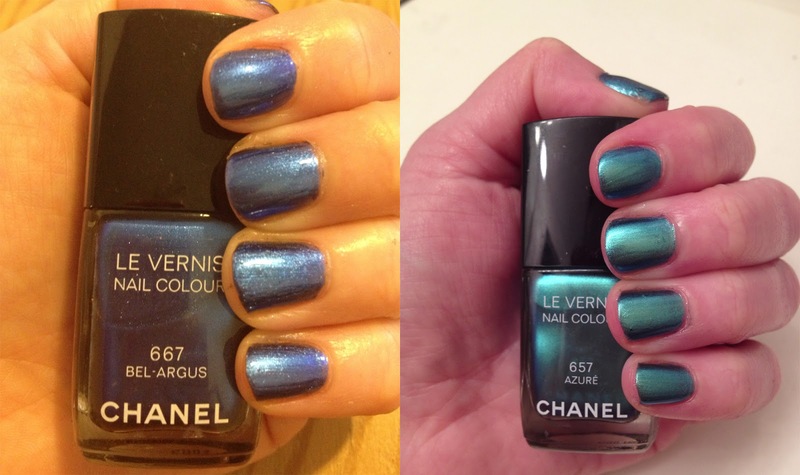 I've honestly never seen two nail polishes do it better than these two. Essie Butler Please with China Glaze Material Girl Accent Nail: Sometimes when I have too many nail polishes to test, I combine them in one manicure. Such was the case with these two, and I have to say, I love how it turned out! Zoya Aurora: Yet another color from the Ornate Collection! I just couldn't get enough. And for good reason -- this holographic purple had me staring at my nails nonstop for a week! 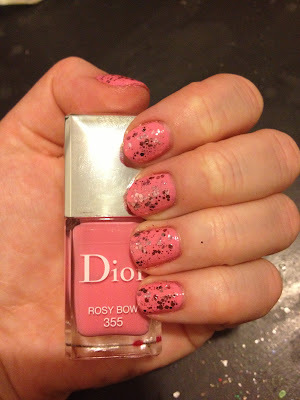 Dior Diorific Vernis in Almee: Metallic gold? Check. Luxurious? Check. Beautiful bottle? Check. Beauty Chick happy? Check. 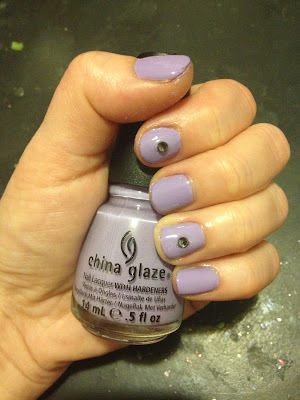 China Glaze Tart-Y For The Party with Swarovski Crystal Accents: This isn't my favorite color ever, but I do love lavender polish. I spiced things up with some Swarovski crystals I found at an art store! 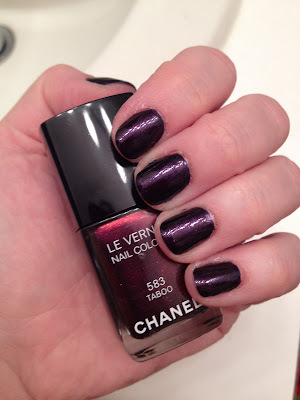 Chanel L'Ete de Papillon de Chanel Collection: This was one of my favorite Chanel collections to date. 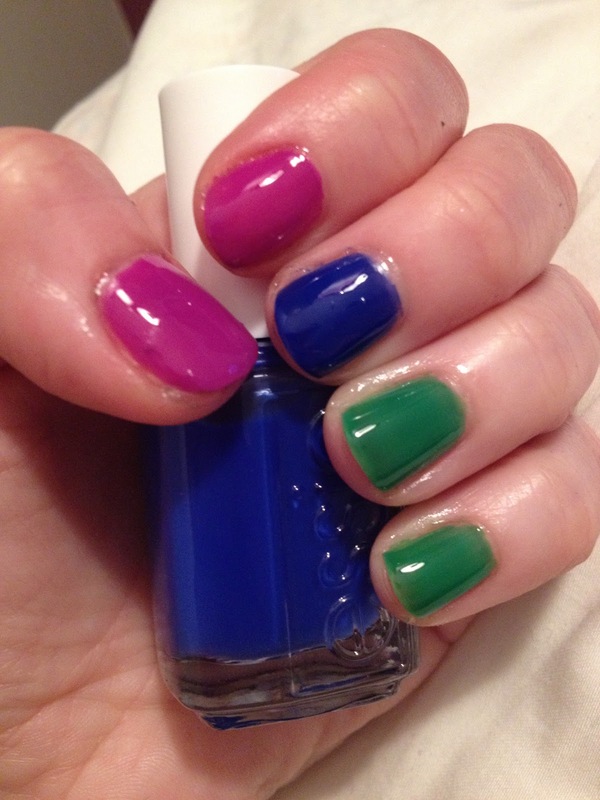 These two blues -- Bel-Argus and Azure -- have been on my nails more times than I can count this year! M.A.C Baking Beauties Collection: If you can't tell, I love polka dot nail art. Okay, it's because it's super easy for me to do myself, but still -- it's so cute! And with Bleu Velvet and Pistachio, it's even more adorable, right? Right. 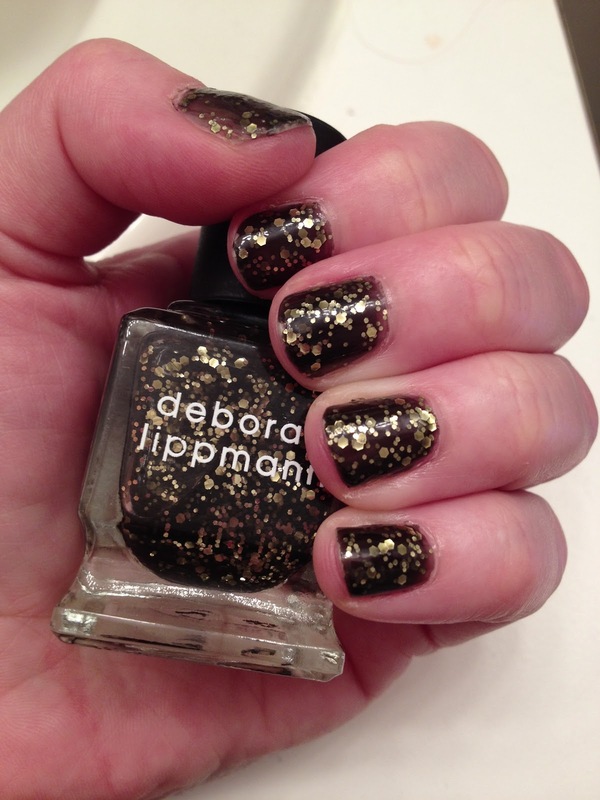 Deborah Lippmann Cleopatra In New York: If a perfect color exists, I'm fairly certain this is in the running. 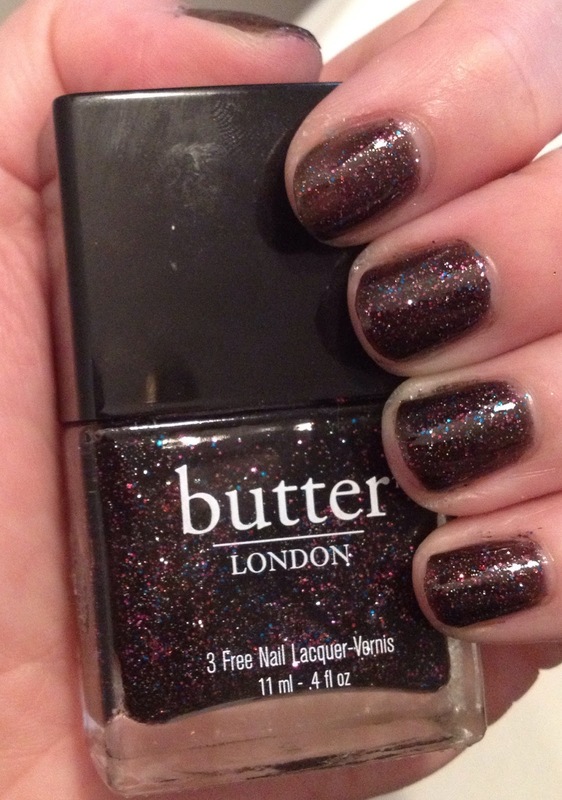 The black jelly-like base with big gold glitter flecks is AMAZEBALLS. butter LONDON Scuppered: A copper base with miniature green flecks reminds me of money. This is a color I'd wear no matter what the occasion! Essie Neons Collection: Definitely a 2013 standout. Every color in this collection was absolute genius, and these three -- DJ Play That Song, Bouncer It's Me and Shake Your $$ Maker -- were my favorites. Jin Soon Voile: The rich, deep violet hue is at once arresting and chic. Perfect for springtime! Deborah Lippmann Glitter In The Air: This is a polish I'd been curious about for quite some time -- so I'm definitely glad I finally had the chance to check it out during a manicure at the Sam Brocato Salon. 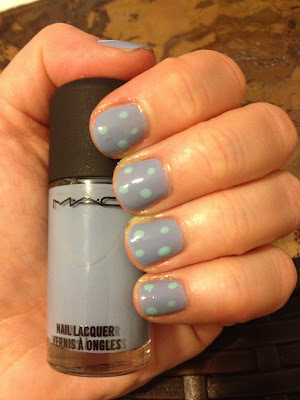 I love the milky blueish white hue flecked with multicolored glitter -- so ethereal. 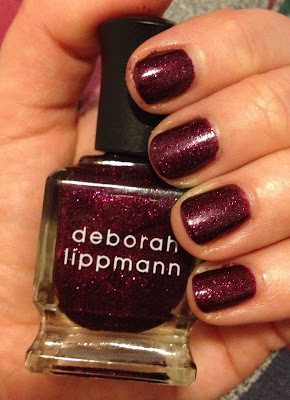 Deborah Lippmann Good Girl Gone Bad: This was obviously a big month for Deb and me! I don't often use deep reds/pinks/purples, but this is just so gorgeous. I'm definitely glad I found it in my stash! 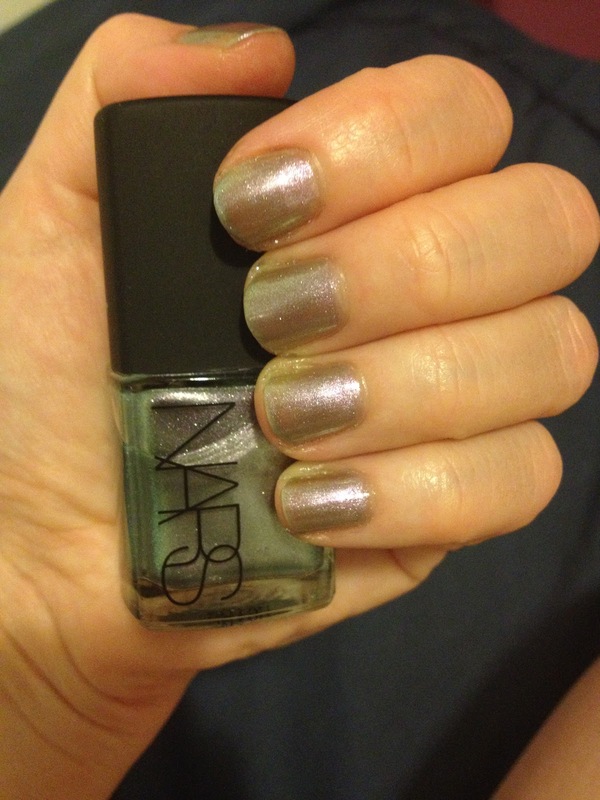 NARS Disco Inferno: Okay, WOW. The combination of silver and lavender create one heck of a stunner. 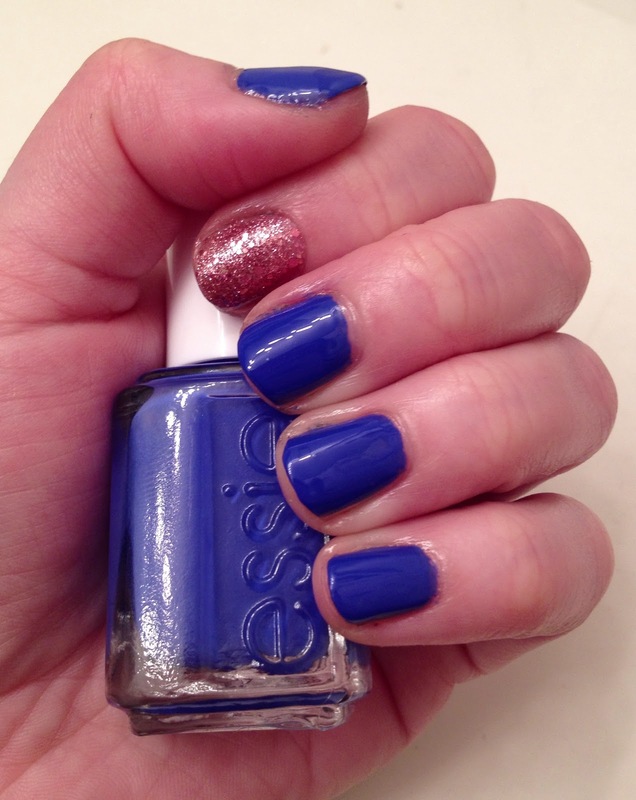 Essie Rock The Boat: This is one of the colors from the Spring 2013 Naughty Nautical Collection. 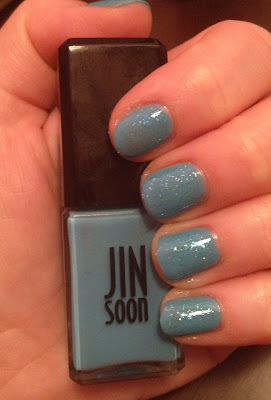 I love the pale blue hue and the hint of silver shimmer. MiniLuxe Luxe Slate: Before a friend's wedding, I simply had to get a manicure. 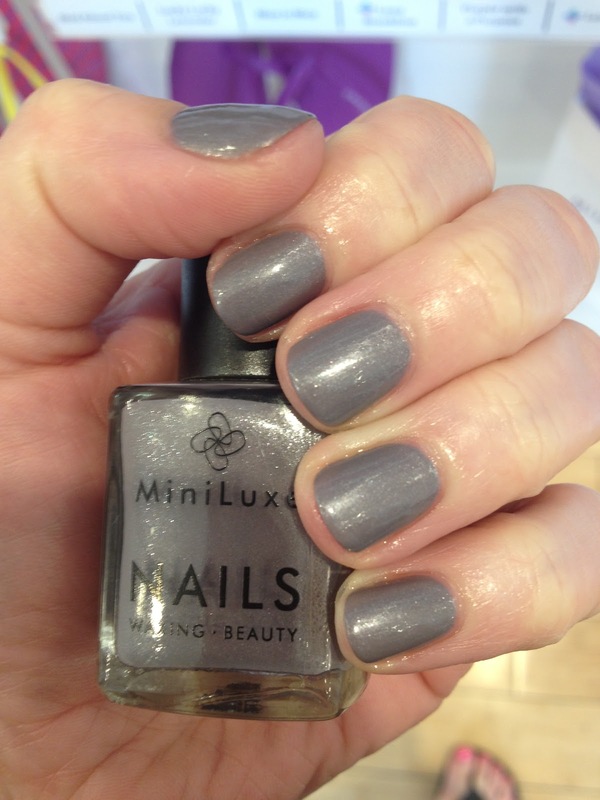 I headed to MiniLuxe in Boston and this color just jumped out at me from the shelf. Charcoal with silver shimmer? Yes please. 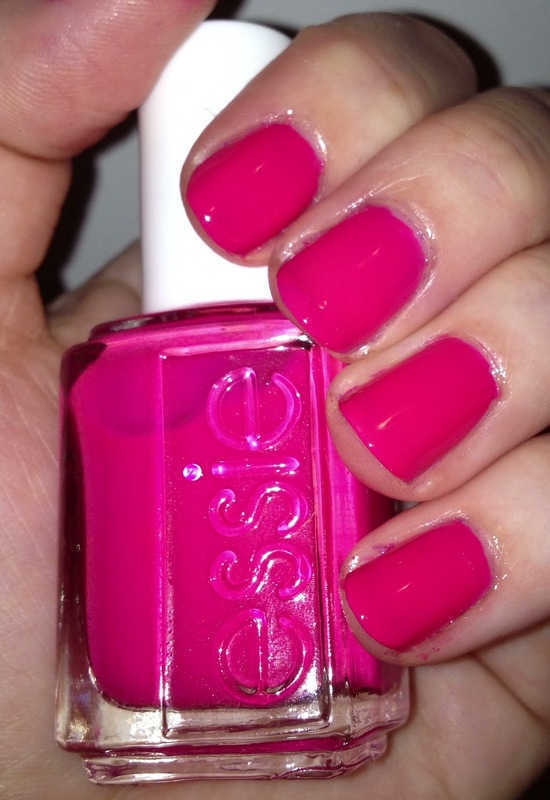 Essie The Girls Are Out: Bright pink. Typically not the type of color I reach for, but when it's shot through with silver sparkle, I head right for it! Deborah Lippmann On The Beach: Bright turquoise in the heat of summer seemed totally apropos, especially with this one's name! OPI Liquid Sand Collection in What Wizardry Is This? : Not every Liquid Sand called my name, but this one -- from the Oz The Great And Powerful Collection -- sure did. I love the gritty texture and the brownish gold color. 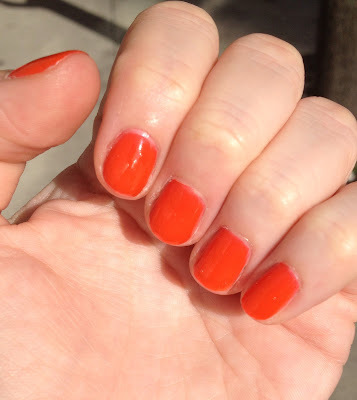 Essie Saturday Disco Fever: Eye-searingly bright orange is perfect when the temperatures heat up above 90, wouldn't you agree? Essie Bottle Service: While I don't always love pink nail polish, I sure do love a neon! I wore this one for two weeks straight. 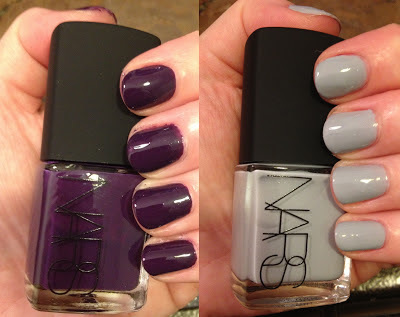 NARS Fall 2013 Collection: This is one of my very favorite collections this year. Only two nail polishes -- Fury and Galathee -- but the deep purple and pale dove grey are both creamy and absolutely delightful. My post of this photo on Pinterest is also my most popular -- to date, it's been pinned almost 1000 times! 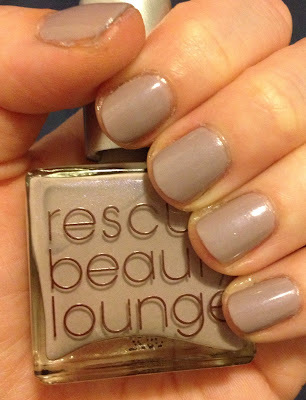 Rescue Beauty Lounge Fashion Polish: This is one of the colors from the highly anticipated Bloggers 2.0 Collection. I loved all of them, but this one definitely stood out -- the holographic black just screamed, "Buy me!" So I did. Rescue Beauty Lounge Be Humble: The Emoting Me collection kept calling my name this year, and I finally bought a couple shades. 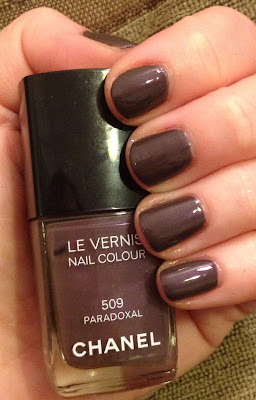 One was this beautiful taupeish mauve, which I've worn multiple times since purchasing. Essie Naughty Nautical: The namesake of the Summer 2013 collection! I love the bright teal and the hidden silver shimmer. Very unexpected for a summer color. butter LONDON The Black Knight: This is one of those colors I debated buying for eons, and finally I scooped it up. I honestly can't believe it took me so long! 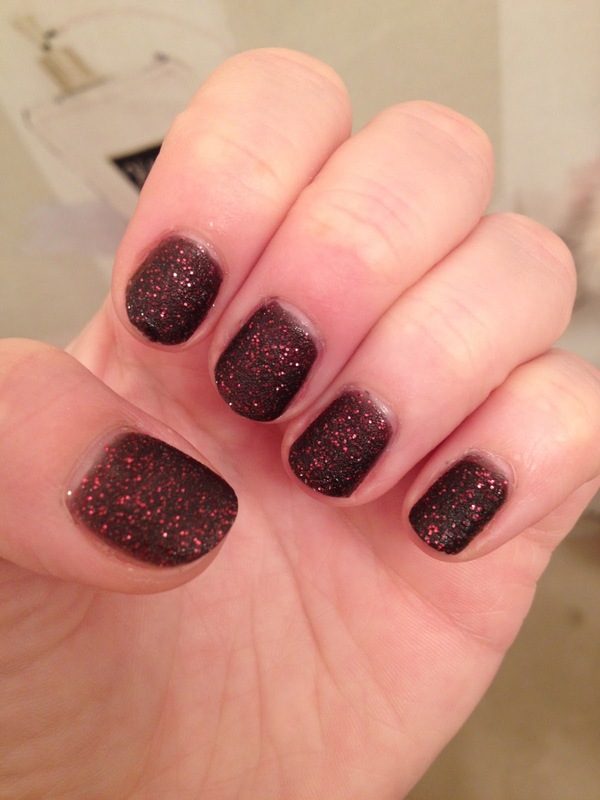 Seen here with four coats for full opacity -- I LOVE the multicolored glitter! 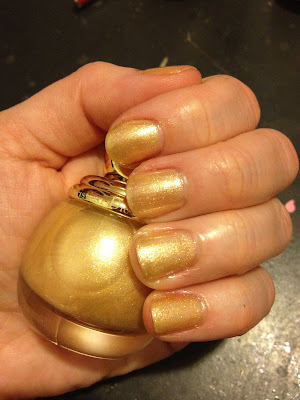 Lacquer Queen Maleficent: I started getting into Etsy nail polish brands this year, and Lacquer Queen was the first to catch my eye. 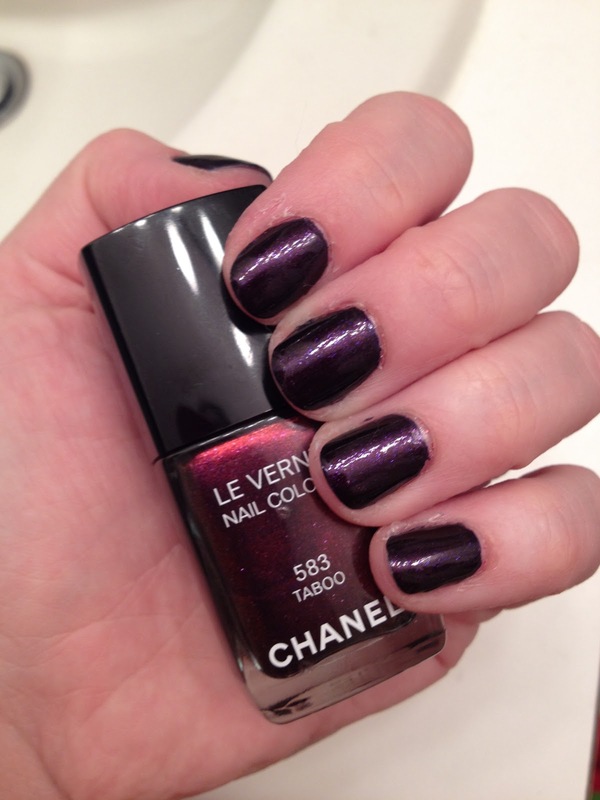 How could I go wrong with a metallic purple named after one of the most evil of Disney villains? 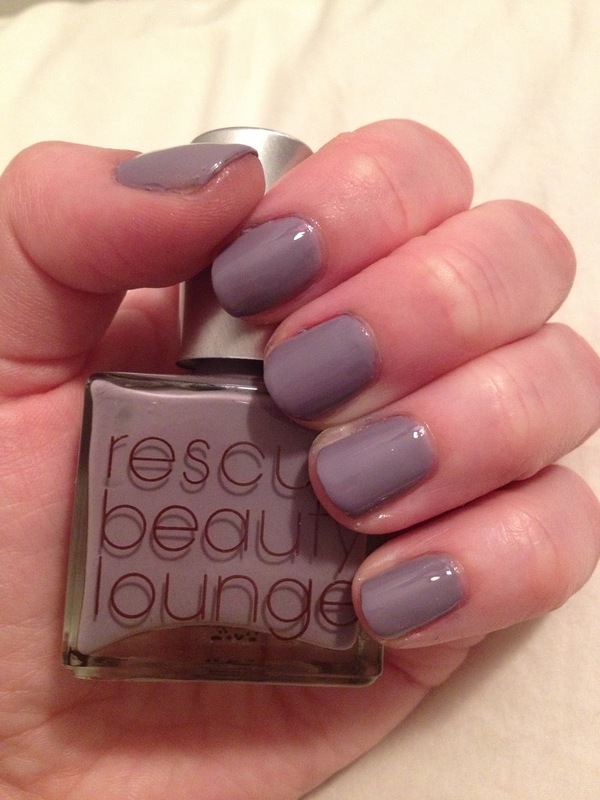 Rescue Beauty Lounge Forgiveness: Another color from the Emoting Me collection, and another winner! I love mauve, and this is one of the best I've found. Zoya Fall 2013 PixieDust Collection: Okay, HOW could you not love all three of these gorgeous colors? 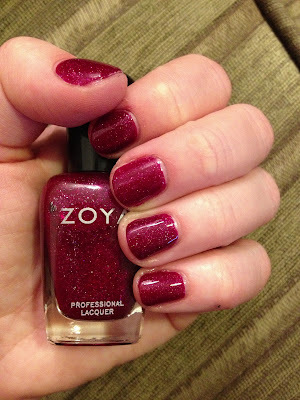 Zoya really knocked it out of the park with this whole collection, but Tomoko, Sunshine and Carter had me at hello. 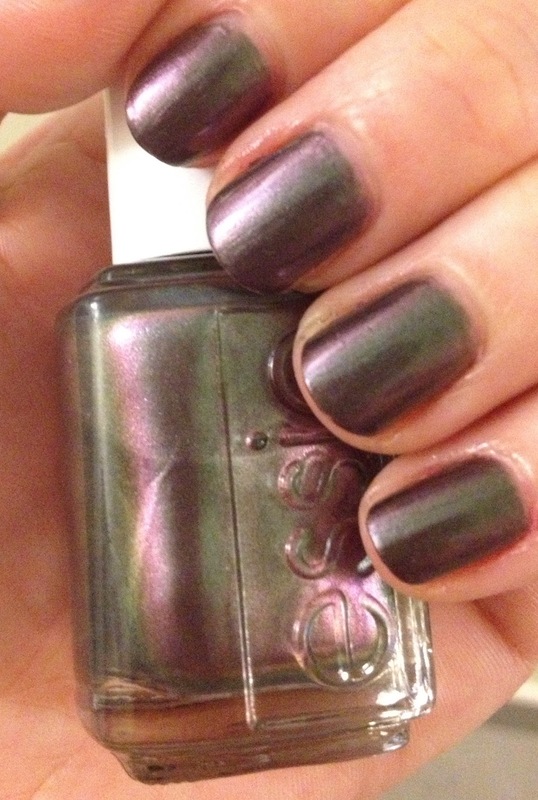 Essie For The Twill Of It: This is one of the most popular shades of the year, and it's not hard to see why. The duochrome finish is simply irresistible! Marc Jacobs Nirvana: I always tell myself not to buy nail polish when I go into Sephora, but I made an exception for this deep green color. 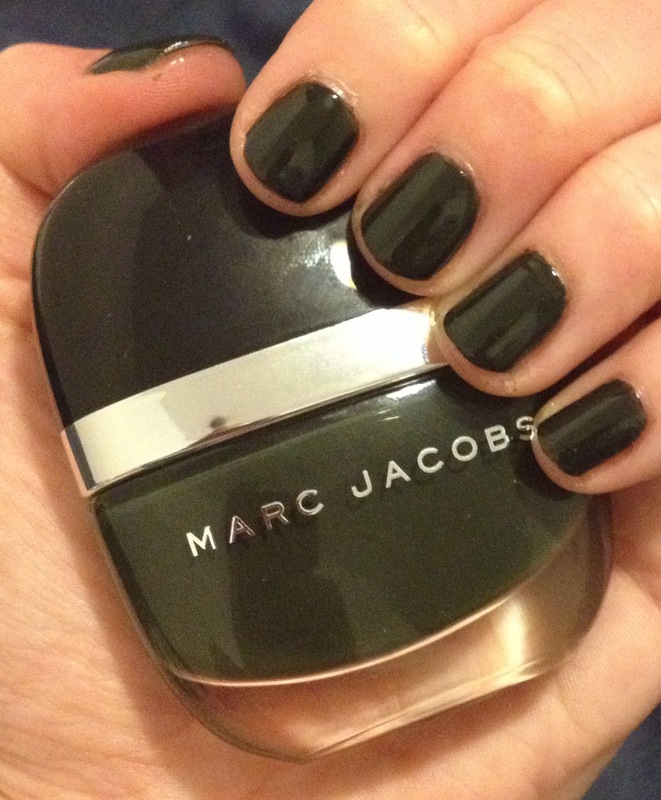 I love the bottle, I love the shade, I love the finish -- and, of course, I love Marc Jacobs. 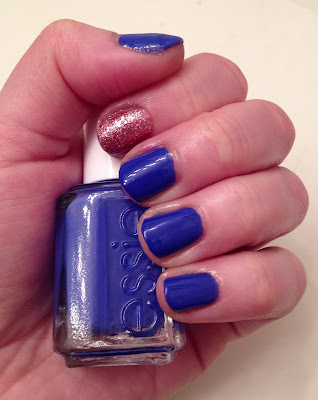 Essie Full Steam Ahead: This was my most popular Instagram photo this year -- over 100 likes! 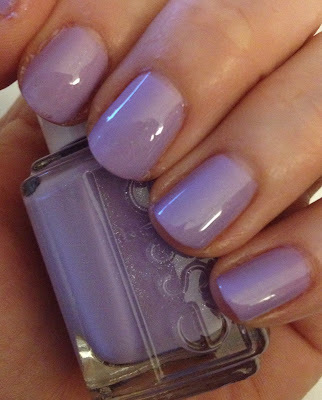 It's a gorgeous lavender with a hint of silver shimmer. I guess everyone loved it as much as I did! 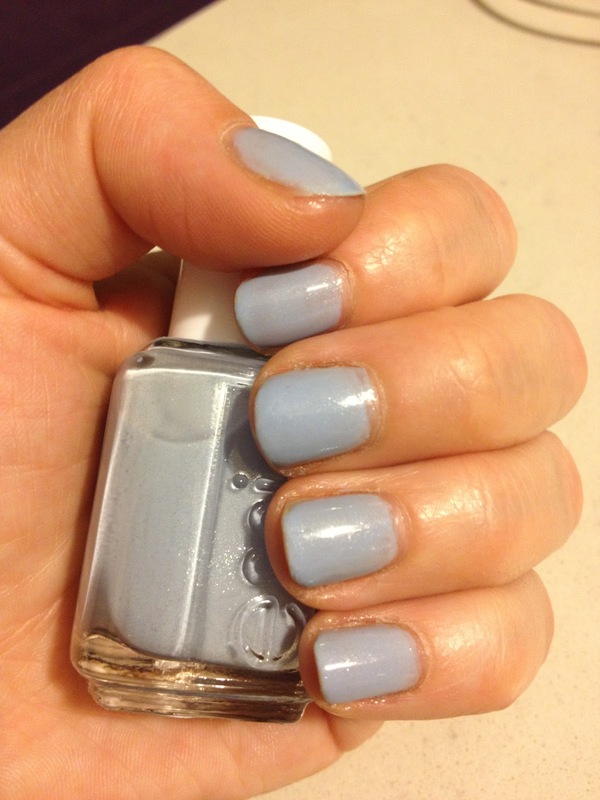 Essie Butler Please & Beyond Cozy Moon Mani: When I decided to get a moon manicure at Tenoverten, I went for two of my very favorite Essie polishes. I absolutely LOVE how this one turned out. 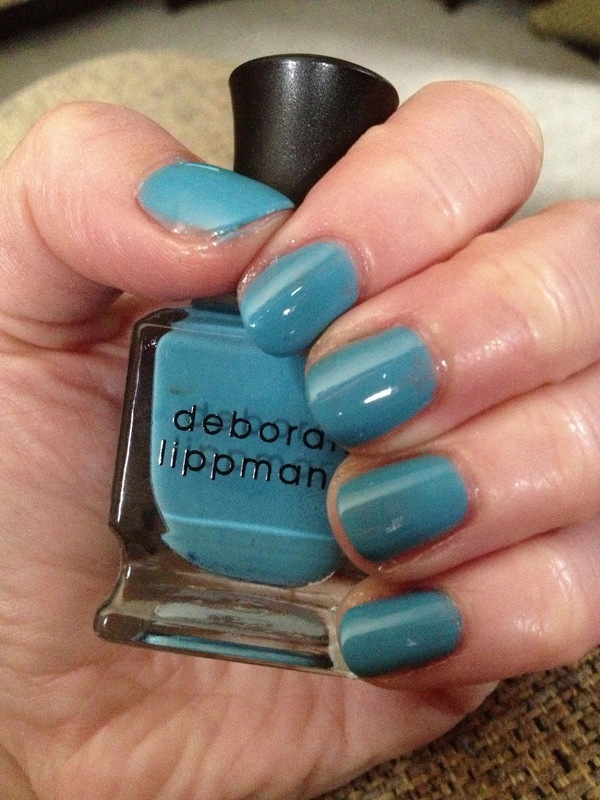 Deborah Lippmann Lady Sings The Blues: Once in awhile, I go shopping in my nail polish stash. 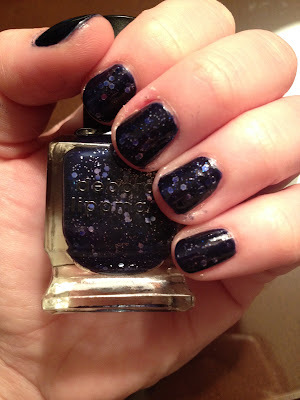 And one day, I found this AMAZING glitter-filled navy polish. I honestly can't believe I never used it before -- that's certainly changed since! Essie Cashmere Bathrobe: If you're looking for the perfect deep, shimmery grey, this is it. 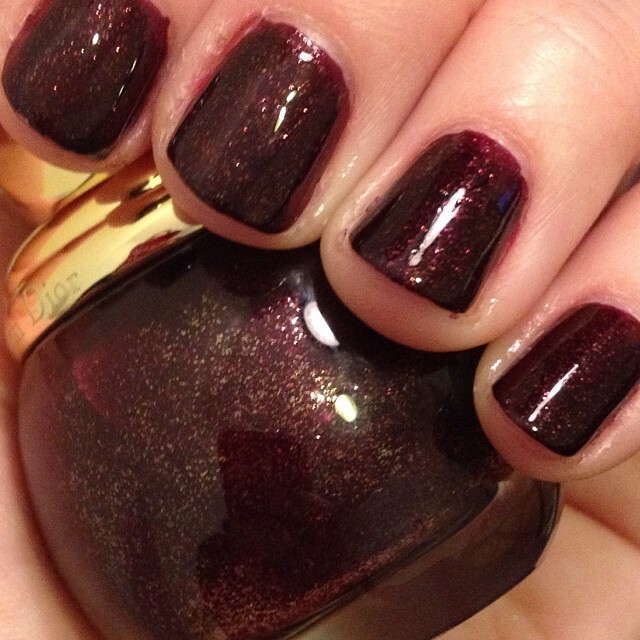 Dior Diorific Minuit: Bold burgundy with gold shimmer yields one of the most sophisticated, luxurious shades of the year. 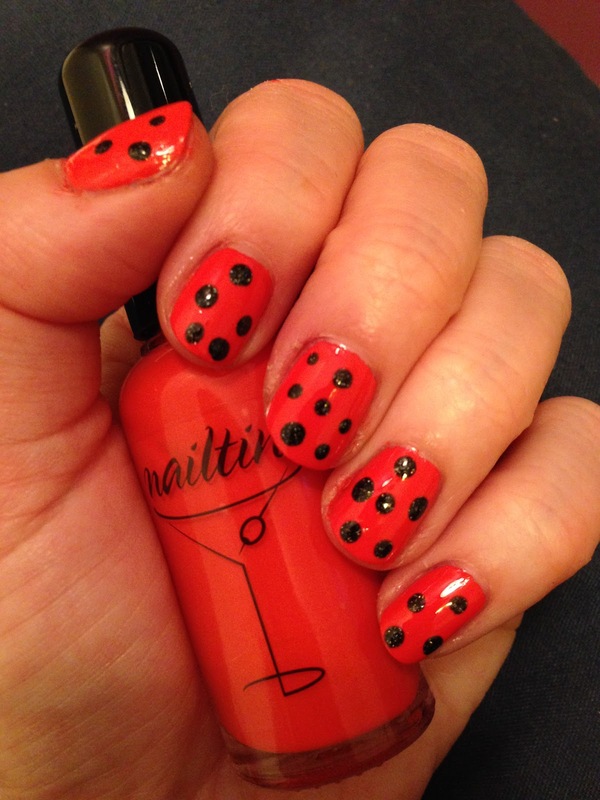 Halloween Nail Art: I told you I love to do polka dot manicures! 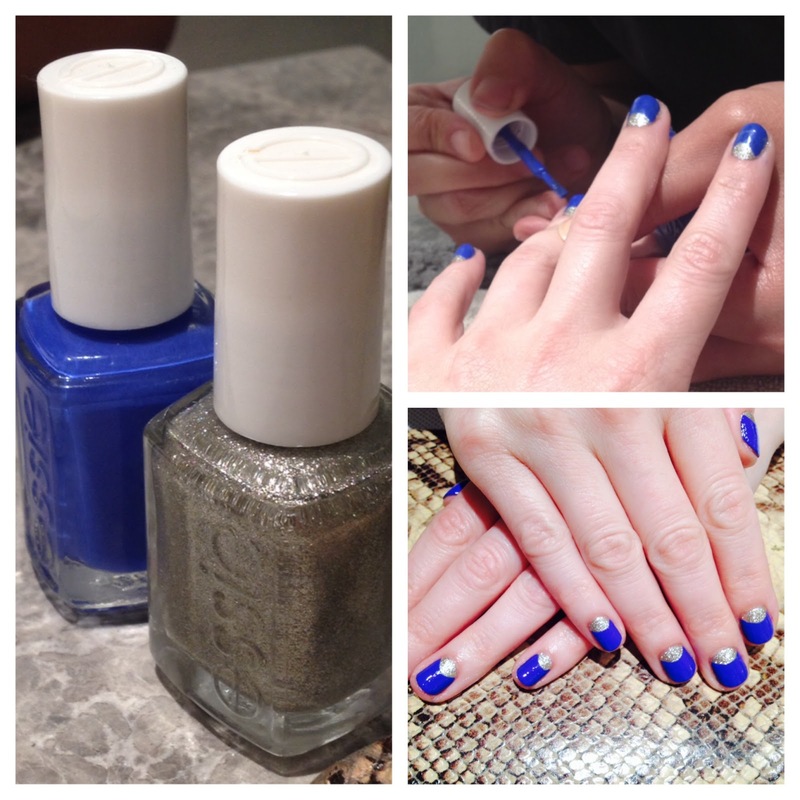 I created this one just for Halloween with Nailtini Mai Tai and Zoya Storm. 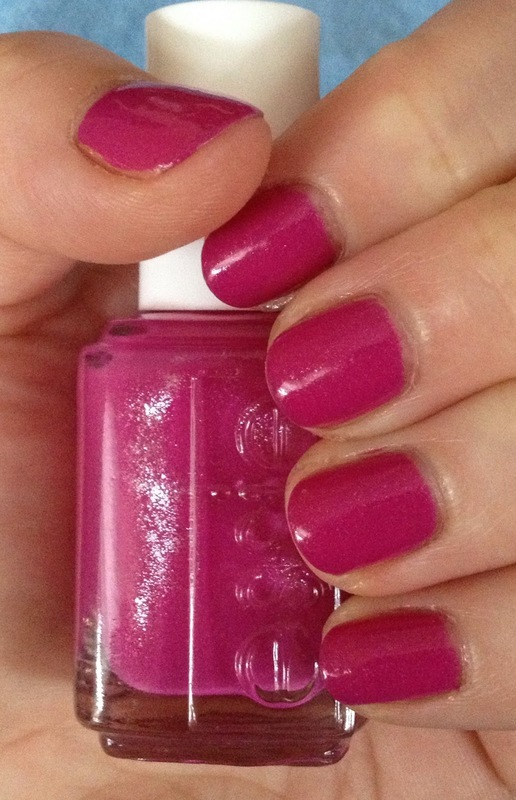 Essie Leading Lady: Another one of my all-time faves! I chose this for a manicure at South Side Nail Candy in Pittsburgh, and it lasted for over a week with no chipping! 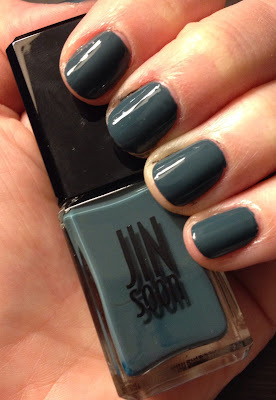 Jin Soon Charade: Chic, sophisticated and beautiful. Chanel Taboo: I really wanted to love this polish. The bottle makes it seem like an instant favorite. But I just wish it turned out a little less purple on the nail. Zoya Naturel Collection: Purple ombre nails yet again? 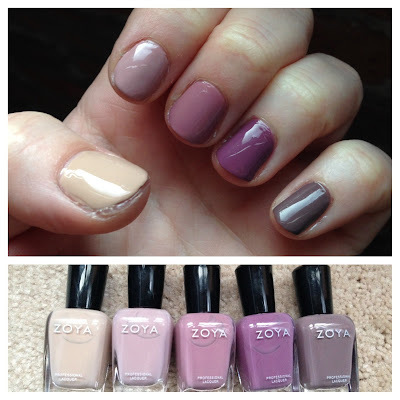 Yes, especially since the colors in the new Zoya Naturel Collection lend themselves so easily to it! Jin Soon Poppy Blue and Zoya Mosheen: The combination of opaque turquoise and glittery turquoise came together quite beautifully in my last manicure of the year, don't you think? My favorite is Essie For The Twill Of It. I looked all over for Bottle Service but never could find it.